Adjacent to two of the city's most famous neighborhoods, the progressive neighborhood of West Hollywood has made a name for itself as the so-called heart of Los Angeles. A trendy area known for its vibrant nightlife and buzzing restaurant scene, West Hollywood (a.k.a. WeHo) sits at the foot of the famed Hollywood Hills, with its claim to fame being the glitzy-yet-grimy Sunset Strip. As the heart of LA's LGBTQ community, WeHo is a warm, welcoming place with a culture that celebrates people from all walks of life. Nearly 40% of the city's residents identify as LGBTQ. While there's something exciting happening pretty much year round, the city's famed LA Pride Festival in June and its Halloween street party in October draw in thousands of visitors hoping to take part, making them great times to visit. If you're looking for some outdoor activities, your best bet is to hop out of the car and pound the pavement. Take a stroll down West 3rd Street to window shop and get those steps in at the same time. That being said, if that pair of jeans you just found in Polkadots & Moonbeams doesn't get your heart pounding, take a hike to Hollywood, literally. Check out our Hollywood Area Guide for some trails that are sure to peak your interest (sorry, we couldn't resist a pun!). With a restaurant on what seems like every corner, it can be hard to know where to lock down your weekly reservations. For the italian lovers out there, Jon + Vinny's original location on Fairfax Ave is where it's at, serving up comfort food like there's no tomorrow. The real question is: if you didn't order the spicy fusilli, did you even go? If the California farm-to-table cuisine is more your vibe, be sure to add Laurel Hardware to your list. Located on Santa Monica Blvd., this hot spot set up shop in an old hardware store, hence the name. Go-to menu items include the brussel sprouts and the Spicy Prosciutto pizza. Last but not least, for traditional sushi omakase, don't miss Sushi Park. Hiding in the upstairs corner of a nondescript strip mall, it might look like nothing special, but don't fall for the fake out: this is some killer sushi. Word to the wise: the omakase here will set you back 200 big ones, but as The Infatuation says, "In a town that knows its sushi, Sushi Park is operating on an entirely different level." Trust us when we say that theirs is a level you'll want to be on. West Hollywood knows its nightlife. From one of America's most recognizable gay bars, The Abbey, to the legendary rock n' roll hotspot Whiskey A Go Go and its neighbor On The Rox up on the Sunset Strip, there is no shortage of places to go as long as you're willing to explore them. 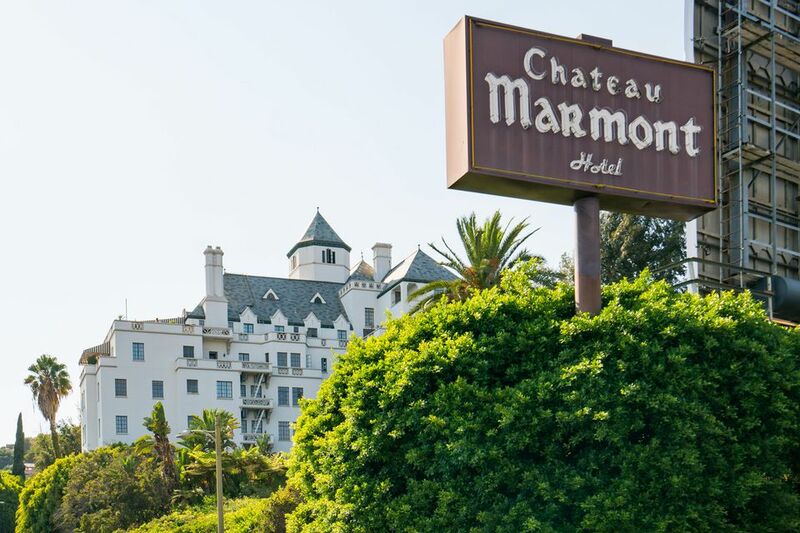 If you're looking for some old school Hollywood glamour, Chateau Marmont is the place for you. They say what happens at Chateau Marmont stays at Chateau Marmont, which might be true only until the paparazzi photos are splashed all over the tabloids the next day. For another celeb hotspot, check out The Tower Bar at the Sunset Tower Hotel where you might just run into John Mayer or even his famous ex, Jennifer Aniston. Wherever you decide to go on a night out, you're sure to enjoy yourself in West Hollywood, a city with something for everyone. West Hollywood is one of LA's premier shopping destinations. 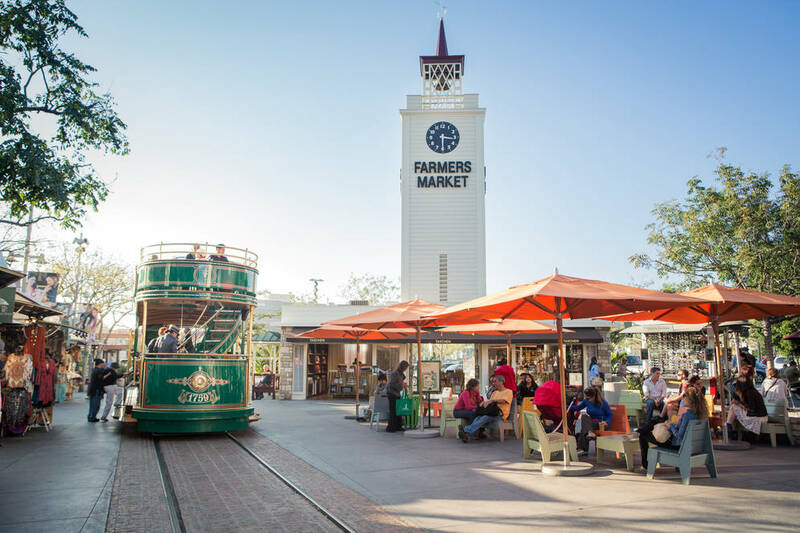 Centrally located, people from all over the city flock to WeHo to take advantage of The Grove, a huge outdoor shopping mall featuring everything from Apple to Nike to Topshop, and because this is LA, it even features a giant 14 screen movie theater at its heart. Drive a little further up Fairfax Avenue and you'll quickly hit Melrose Avenue, famed for both picturesque storefronts and celeb sightings.